If you’re looking for a motorbike dealership in Milton, you should consider visiting Budds’ Motorrad, located in Oakville just south of the QEW. We have been proudly serving members of the Milton community for years and have thousands of repeat customers who are highly satisfied with their premium BMW motorcycles. 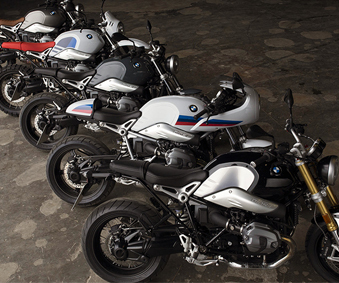 Whether you’re looking for a new or pre-owned BMW motorcycle we’ve got you covered. From roadsters to heritage models, and everything in between, our selection is virtually endless. Our online gallery makes it easier for Milton residents to do research before making a decision, however we recommend coming into our motorbike dealership to test drive the bikes that you’re interested in. Making a final decision based on experience is crucial when choosing the motorcycle, you’re going to take home. Whether you’re looking for new parts for a motorcycle that you’ve owned for years, or you’re looking to custom build a brand-new BMW bike, we offer a wide selection of premium parts and accessories at our motorbike dealership. Milton is just a short drive away from our Budds’ Motorrad dealership in Oakville, so don’t hesitate to call us or stop by to see if we have the parts that you’re looking for. We can also order any premium parts for your motorcycle if you wish to upgrade the one that you already own. Or, if it’s your first time and you are customizing your dream bike, take a look at our online parts gallery to get a better understanding of how you can build the bike you’ve been dreaming of. Once you’ve made your decision based on our parts guide, book an appointment to have one of our team members help you make your dream a reality. You’ll be driving your premium BMW motorcycle home in no time! Of course, our support doesn’t end when you take your bike home. At the Budds’ Motorrad motorbike dealership, we make it a top priority to actively support our Milton clients long after they’ve brought their motorcycle home. Whether you’re looking to purchase new quality accessories for your new ride, or you’re looking for a gift for someone special, visit our motorbike dealership in Oakville. Milton residents can ride in style with our premium BMW motorcycle accessories and outdoor wear. You can also become a member of the BMW Motorrad community by taking safety training courses as well as other courses. It’s a great way to connect with fellow BMW motorcycle drivers. We’re here to support you on every step of your journey. Call us at Budds’ Motorrad in Oakville, or come into our dealership to connect with us. We’re here for you!